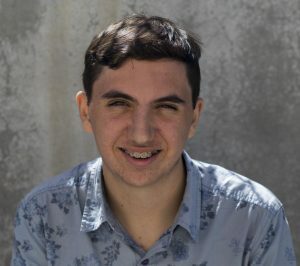 Now in his third year of reporting, Zack Hage is the Copy Editor, as well as a writer for the 2017-2018 Woodside Paw Print. Having been in journalism programs since 6th grade, he is experienced in writing for entertainment/tech avenues, due to his early appreciations in music, movies, and more. Some of his favorite stories to write include a feature on whether Trump’s election could affect California, as well as analyses of concert security following Manchester and the movie industry following Summer 2016. When he graduates this year, hr would like to attend a California state college, either majoring in Journalism or some other English program.